Dr. Elliot Ramer is a native of northern New Jersey. He received his B.A degree in Biology and DMD degree from Temple University. He began military service as a Captain in the Dental Corp of the USAF at Scott Air Force Base in Illinois, where he had the honor and privilege to treat "Returnees" from Vietnam. After being honorably discharge from the service in 1973, Dr. Ramer returned to live and practice in Delaware county. He continued his education at The University of Medicine and Dentistry of New Jersey and was certified in the diagnosis and treatment of craniomandibular disorders "TMJ" and chronic facial pain. He has been a consultant to the Pennsylvania State House Insurance Committee and has lectured at Temple University School of Dentistry. He has published a number of articles in national dental journals. 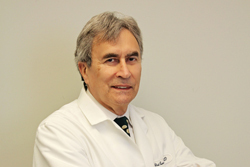 Dr. Ramer established his practiced in Broomall in 1974, and lives in Radnor with his wife of 45 years Kathie. They have two children Michael and Alexis. 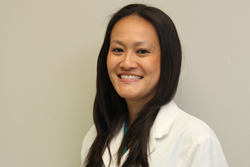 Kim L. Tran, DMD, is a skilled dentist who is always training and following the most advanced dental techniques. As a native of Pennsylvania, Dr. Tran earned her Doctorate in Medical Dentistry and Masters of Business Administration at Temple University in Philadelphia. Practicing general, family, and cosmetic dentistry, she is driven by a passion to make people happy through advanced dentistry and stunning smiles. She is a certified Invisalign® and CEREC® provider. She has been practicing in the area for over 10 years. We would also like to introduce you to "Mr. Big." 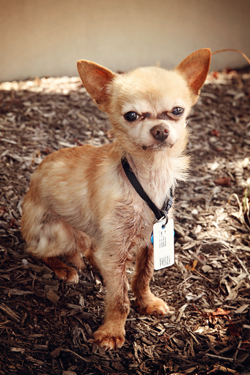 He is a mild-mannered Chihuahua who enjoys comforting you during your dental procedures.